Preheat oven at 250°F. Spray a large mixing bowl lightly with no-stick cooking spray and place popped popcorn inside; set aside. Combine butter, brown sugar, corn syrup, and salt in a heavy 2-quart saucepan. Bring to a boil over medium heat, stirring constantly. Lower heat and boil 5 minutes, without stirring. Remove from heat and stir in baking soda. Gradually pour over reserved popped corn, mixing well to coat. Spread popcorn evenly into a rimmed 17- x 12-inch baking pan. Bake for 1 hour, stirring every 15 minutes. Remove from oven and cool completely. Store in airtight container. *Using a Presto® popcorn popper, prepare popcorn as directed in the popper's instruction manual, removing any unpopped kernels. 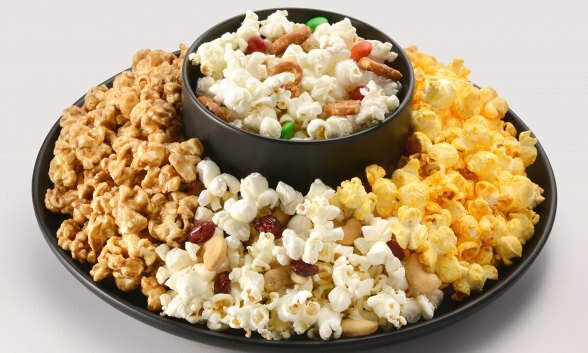 Click here for more information on our line of quality Presto® Popcorn Poppers. Add some spice to your caramel corn! Make the Caramel Corn recipe as directed adding 1 teaspoon cayenne pepper with the baking soda.